NEW YORK (CNS) — Turning the 1999 ultra-low-budget “The Blair Witch Project” into a franchise has meant turning the saga into a conventional slasher film with little suspense and predictable setups. That’s the problem with “Blair Witch” (Lionsgate), a story of young people camping in the woods outside Burkittsville, Maryland, looking for the fabled centuries-old vengeful witch who slaughters all who enter. If you go down in the woods today, you’re not sure of a big surprise, because it’s just her again, and she’s gotten to be as boring as poison oak, even though she’s not seen. Director Adam Wingard and screenwriter Simon Barrett don’t even try to do much with the “found footage” conceit of the original, which added considerably to the claustrophobic terror of a single girl armed with only her video camera. The video technology has improved, and the intrepid campers even have a camera drone. It’s just that the witch outsmarts them at every turn. It has been 17 years since Heather disappeared in the Black Hills Forest while hunting the Blair Witch. Her brother James (James Allen McCune), convinced that Heather’s still alive, organizes an expedition with college gal pal Lisa (Callie Hernandez), who thinks she can make it a graduate documentary project, and they bring along friends Ashley (Corbin Reid) and Peter (Brandon Scott). 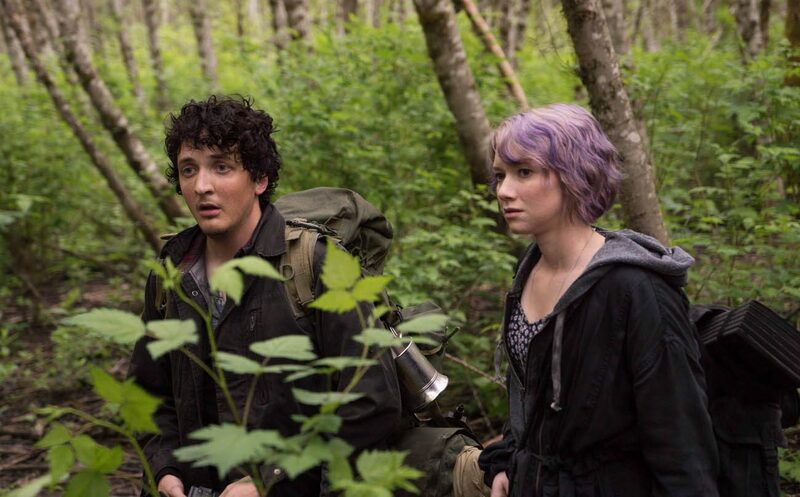 Horror formulas typically involve rustic locals who are true believers in ghosts and witches; here, these are Lane (Wes Robinson) and Talia (Valorie Curry). Before long, the witch is creating eerie noises and tormenting the campers with her talisman — stick men in the dense foliage. She also, like some form of Special Forces operative, has the additional talent of putting the woods in perpetual darkness. She starts picking off the terrified campers one by one in the time-honored manner, but all of this seems more like overripe parody than any serious attempt at horror. The film contains fleeting gore and fleeting rough and crude language. The Catholic News Service classification is A-III — adults. The Motion Picture Association of America rating is R — restricted. Under 17 requires accompanying parent or adult guardian.